Kabbaladurga is another monolith near Bangalore located about 80 kms away. 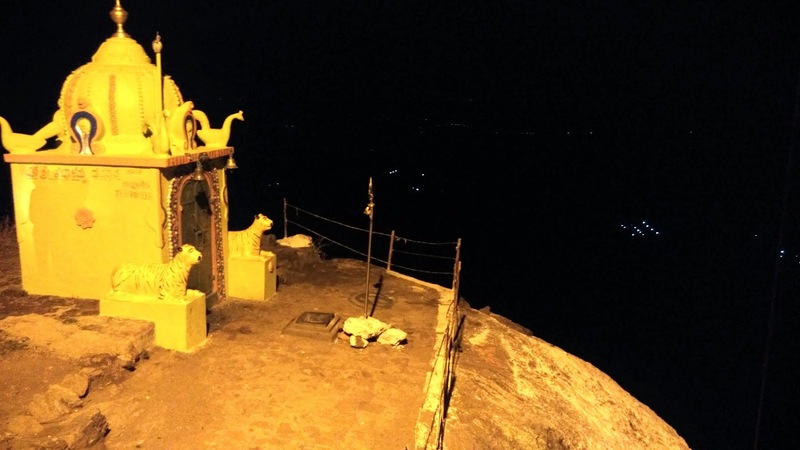 Its one of the 9 durga's around Bangalore.The peak is home to the temple of Goddess Kabbalamma and had derived its name from the temple and the ruins of a fort at the peak. It is green, rocky and serene.Although the fort is in ruins now, the temple is still visited by the villagers around.The view from the top is absolutely breath-taking and perfect for trekkers and climbing enthusiasts. Overall, the trek was moderately difficult.Kabbaladurga looks daunting from the start of this trek. The inclines are very steep and there is no support. One has to climb rocky surfaces, grab the rough edges and carefully place every step. After about 100m, there are a few carved steps leading to a supporting rod. The inclines get steeper, to 60 degrees, and the trek becomes a strenuous climb. Frequent breaks are taken. The midway point is reached on a small flat terrain. This is a welcome respite with a strong breeze and amazing views of the village. The last and final stretch is a true test of nerves and brawn. There are no more carved steps and one has to be resourceful. The smooth surface of the monolith has to be climbed, looking for suitable placements for hands and legs. 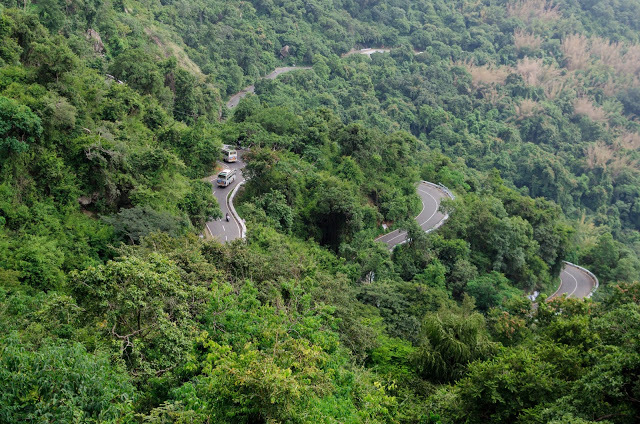 Driving down from Bangalore on the Kanakapura Road will take approximately 2-3 hours depending on the time of travel. Reach Kanakapura (50 kms) and Sathanur (a further 20 kms). From Sathanur, a diversion to the right goes to Kabbala village. Essentials: Food Pack, water, stove, medication, warm clothing. Trek Start Point: From Temple Base to Hill base nearly 1km.